Nearly every vehicle we sell includes some premium accessories and upgrades. We can supply and expertly install almost anything from original OEM parts to the unique aftermarket options. With the number of technicians that we have and the hundreds of years of experience that they bring to us, we have EXPERTS in all areas of upfitting and accessory installation. Our size and volume give us some of the strongest purchasing power in Canada. Ultimately, that translates to savings for our customers. In addition to traditional accessories, our technicians are certified to install rollover protection cages, positive air shut-off equipment, performance upgrades, and other speciality gear. These are services that other shops simply can’t offer! 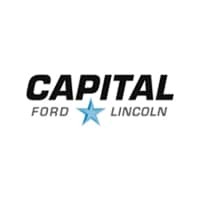 Capital is the exclusive Rhino Bed Liner installer in Regina. Although the Rhino brand offers several different products, we have chosen to only install their best liner, Rhino Extreme.TM The industry leader in premium coatings, Rhino ExtremeTM bonds to almost everything and is proven to protect against impacts, abrasion, corrosion, chemicals, rust, and weather wear. On top of that, Rhino ExtremeTM reduces noise from vibrations and impacts. Rhino ExtremeTM also provides a slip-resistant box coating for the hardworking truck and its owner. DuraShield Titan XT paint protection is always on guard, protecting vehicles from stone chips, bird droppings, and other environmental contaminants. Painted, chrome, and acrylic surfaces are vulnerable to damage and will wear down over time. But Titan XT’s uncompromising performance mitigates the risks. With exceptional stain resistance and protection from both airborne hazards and physical debris, Titan XT is the obvious choice for paint shielding. We can design, produce, and install any vinyl decal from corporate logos and unit numbers to full vehicle wraps. Whatever your vinyl needs, our installation experts have got you covered! Fleet vehicles that drive in off-road scenarios require different suspensions. Fortunately, we offer a host of suspension options like levelling kits, lift kits, lowering packages, helper springs, and full airbag solutions. It is critical that these components be properly chosen and installed, but our expertise is proven. No one lifts more trucks than we do. We have specially trained technicians who only use the best parts and the latest installation technology. When it comes to suspensions, we’re the best choice for helping you improve your truck’s performance and capability.